In applications that don’t call for enormous bandwidth, like communications with serial equipment, radio modems can serve as reliable, long range cable replacements. B+B Zlinx RF modems connect directly to analog, digital and temperature inputs and outputs and provide point to point/multi-point wireless connectivity. Zlinx radio modems can do the job faster, easier, and less expensively than stringing cable. Easy plug-and-play set-up saves installation and maintenance time. These compact and rugged units are compatible with Modbus and Profibus so no additional converters are required. Our selection includes models for indoor and outdoor applications including remote monitoring, SCADA, remote telemetry, and more. Zlinx makes running cable obsolete when connecting serial devices. Choose from short range (2.4GhZ) or long range (900 Mhz) models. Zlinx radio modems are built to handle the heat and cold, Indoor or outdoor they can be deployed in any environment. 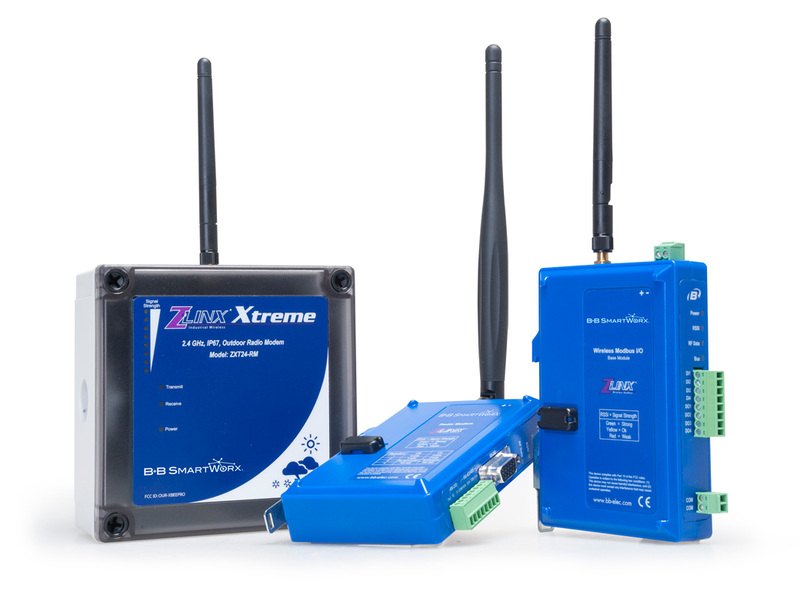 For industrial applications, the Zlinx Extreme products are C1D2 certified and IP67 rated for deployment in any harsh environment. 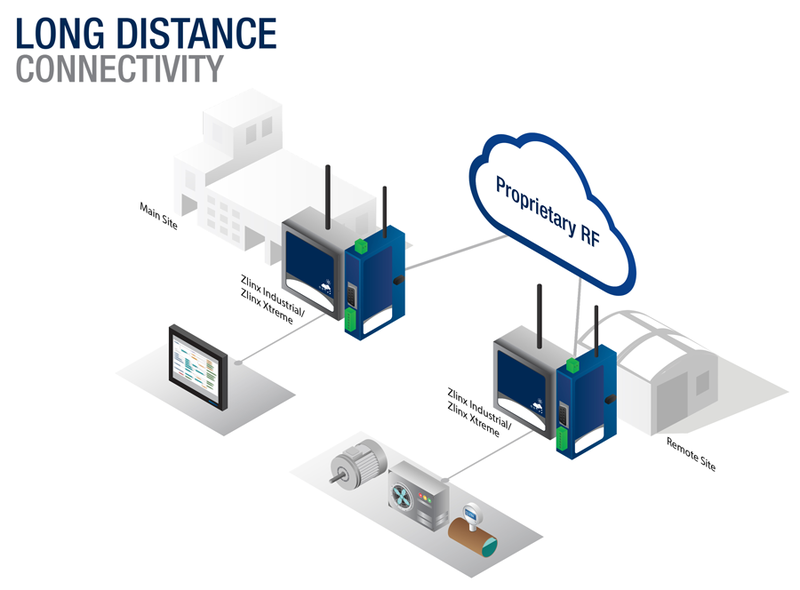 Seamlessly add wireless I/O to any Modbus application. Modbus is the most widely supported I/O protocol worldwide for PLC’s to HMI’s and PC based software applications. With Zlinx Wireless I/O you can now bring wireless remote I/O into any Modbus system. Use a pair of Zlinx Wireless I/O modules to read sensor inputs or control actuators in hard-to-reach locations. Inputs and outputs of the paired Zlinx units will mirror-image each other, making it easy to add wireless I/O to any application.